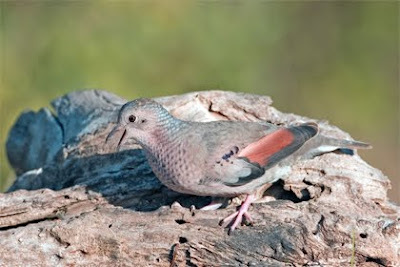 NEW YORK (AP) - Bird-watchers on Long Island are all atwitter at the sighting of a common ground dove, normally not seen north of South Carolina. 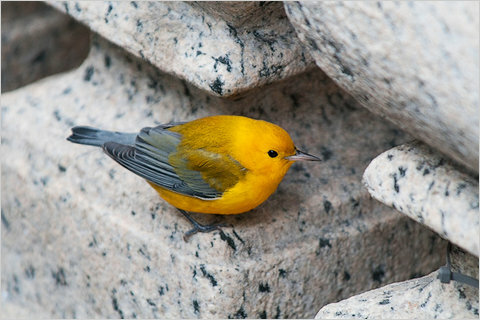 The tiny bird was spotted at Captree State Park in Babylon over the weekend. It may be the first sighting of a common ground dove in New York State. While the sighting is rare, bird experts say the species was seen just last week at Cape May, N.J. The birds have also turned up as far north as Michigan and Nova Scotia. When spread, the bird’s wings reveal rich red feathers. The sighting won’t be confirmed until the New York State Ornithological Association has reviewed documentation, probably next fall. Why can't journalists resist idiotic locutions like "all atwitter" when writing about birdwatchers?